SonotaCo.JP :: トピックを表示 - wide angle and bad sky = few stars for U alignment. wide angle and bad sky = few stars for U alignment. 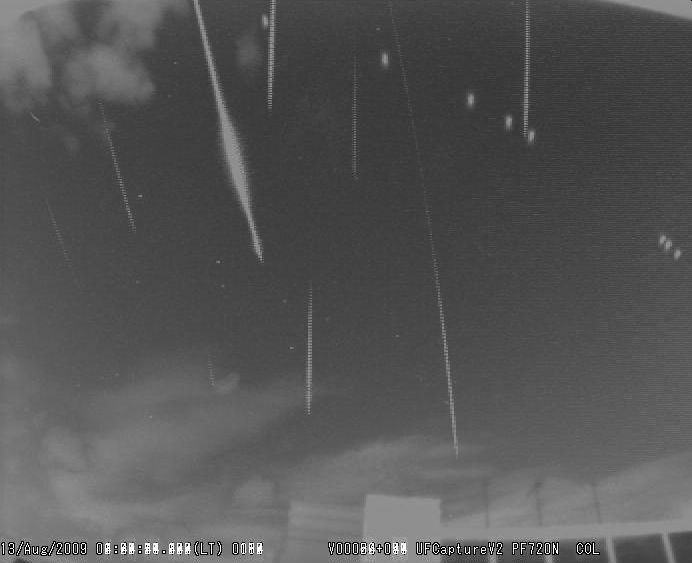 日時: Thu Aug 13, 2009 7:28 pm 記事の件名: wide angle and bad sky = few stars for U alignment. For adhoc operation ( i put out/take in the video system) i need to do the star calibration each time - that is OK. But some time the sky is bad and i had very few visible stars. The area mask is v sensitive and it can inidicate more stars of the constellations. Is there a way to use this area mask thing to help me to align the stars in UAnalyser? Or the other way is to image process the avi ( externally) to show more stars and replaced the image file with this operated still for UA to work on? any suggestions. Thanks in advance. p/s this is a non problem for fixed video system as you guys only needed to do the star overlay matching once. p/s by the way my august 12/13 Pers meteors at www.nightevents.blogspot.com attached the first portion here. 日時: Fri Aug 14, 2009 9:13 am 記事の件名: Re: wide angle and bad sky = few stars for U alignment. The area mask is v sensitive and it can inidicate more stars of the constellations. Is there a way to use this area mask thing to help me to align the stars in UAnalyser? Are you talking about the mask remake functions of Mask Editor sheet of UFOAnalyzerV2? If so, you may be able to remake the sci-mask also which can be used for alinement by similar operation on Mask Editor sheet. And if you can improve the detection of fixed stars by this method, it means you may be able to get same result by tuning the SMlevel and SMsize of UFOCaptureV2 at the capturing stage. I recommend to check sometime the mask status by setting MaskW option On.